Welcome to the home of the SergeantClip. 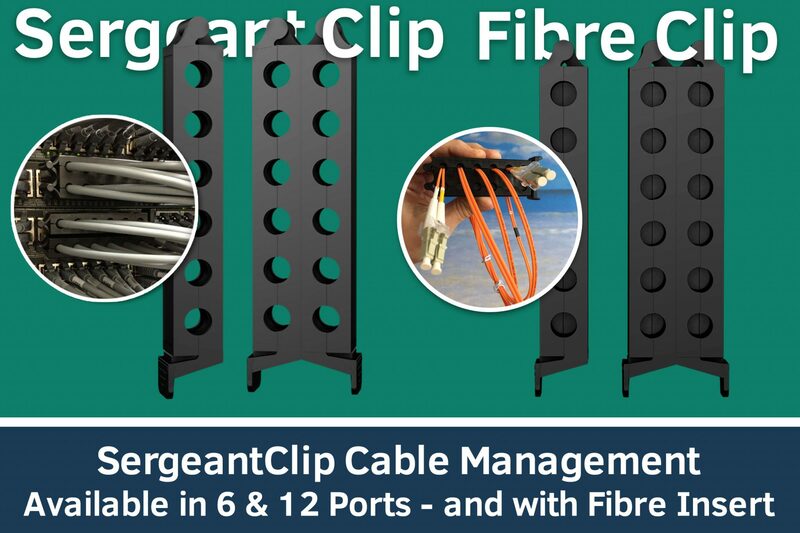 The SergeantClip is a new and innovative product for all data centre, infrastructure and networking arenas. 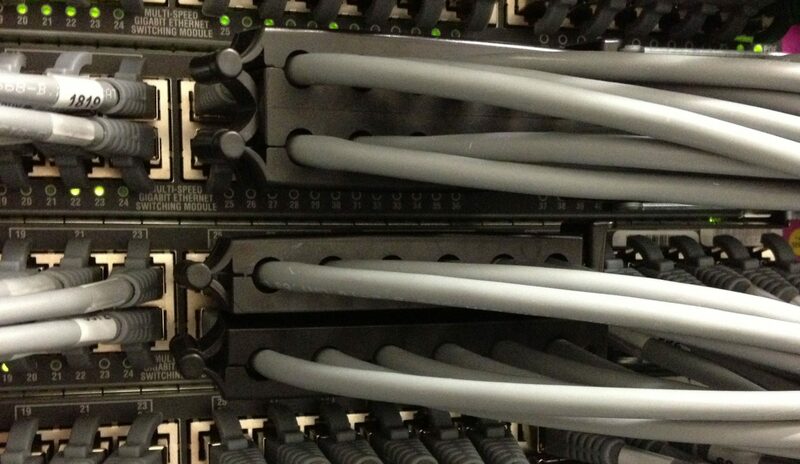 SergeantClips are cost effective and easy to use network cable management tools that significantly reduce the cost, time and risk associated with switch, blade, and server replacement or re-patching. The SergeantClip adds a physical security layer to your Network projects, by all but eliminating the chance for mis-patching following switch replacements or upgrades. The SergeantClip is designed to be used for either short or long term use in any environment where consistency of cabling is important. In our modern Networks, Switches will often have adjacent ports configured for specific purposes, maybe for a particular Server or VLAN, and re-connecting cables to the wrong ports can turn a simple upgrade in to a laborious nightmare! Have you or your engineers had to laboriously identify and label each individual cable for a Switch or Blade replacement in order to make sure the cables go back in the same ports? Or maybe you fell foul of not doing so and suffered downtime or issues because of it? Using a Sergeant Clip or two will save you having to number/label individual cables and re-patching errors will be a thing of the past. SergeantClips are currently available in 6-port and 12 port versions. The hinged clip safely secures, without pressure, 6 or 12 individual twisted pair cables before they are disconnected from a block of switch, server, patch panel or storage ports. The cables can then be removed in a controlled, and fixed manner quickly and efficiently. A 12 Port SergeantClip securing 12 x Cat6a cables in the correct order while a switch is being replaced due to failure, upgrade or replacement. Fitting is simplicity itself. Just open the hinged clip, rest the cables in to the grooved slots inside the clip, and close the clip up again. The clip is strong enough to hold the cables loosely in place without damaging them, and they will of course stay in sequence as you disconnect them from your Network device, and can be fitted with little or no risk to a production network. Once the required equipment work has been completed, the SergeantClip and its captive cables can be brought back into position, cables reconnected and the clip can be left in place to simplify ongoing support and documentation or the clip can be removed. The job will be completed in a fraction of the time with none of the risk of error currently associated with this process. Please visit our Store to see the clips and bundles we have on offer and our Case Studies to find out a few of the many areas that the SergeantClip can assist you and your businesses. The SergeantClip supports Cat3, Cat5, Cat5E, Cat6 and Cat6A twisted pair cables. 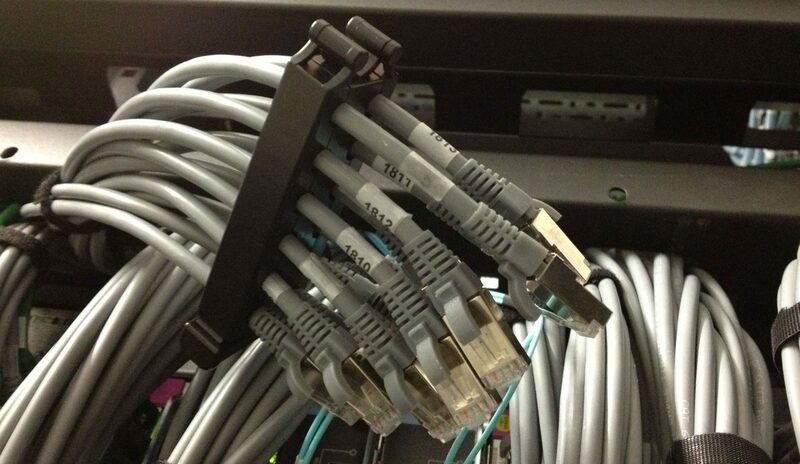 The SergeantClip network cable management tools are Patent Pending, Worldwide.